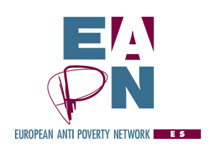 “Fighting poverty must be put at the centre of the European agenda (…) social cohesion, equity within the EU and throughout the world should be EU’s priority (…) Child poverty should also be tackled, providing adequate means and making sure that children are part of the decision process that affects them”, firmly declared D. Carlos Susías, President of EAPN Spain, ahead of the European elections. Commenting on the European Directive that allows employers to contract workers from other EU countries with home-country salaries, he added: “What is agreed upon at EU level affects us at national level, and we are not talking about xenophobia, but about a directive that allows things we do not agree with”, he added. He also addressed the Spanish government on the need to set the minimum income at 500 euros in Spain and to foster the creation of quality jobs. Read more.